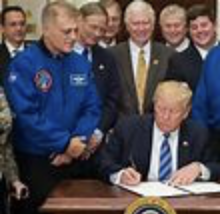 When the National Space Council was reestablished, by an Executive Order in 2017 by President Trump, it created a wave of new public attention regarding the importance of space in the United States. The President also named Vice President Pence to be its Chairman. 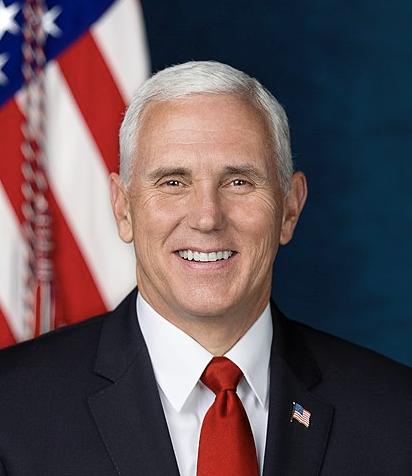 As the head of the council, Vice President Mike Pence has brought new dialogue throughout the space community and improved policy coordination activities, stimulated public interest and given America a coordinating vehicle to advance American leadership in space activities in civil, commercial, research and military affairs. In recognition of this public awareness at the 35th Space Symposium opening ceremony on April 8, the National Space Council will receive the 2019 Douglas S. Morrow Public Outreach Award, presented annually by the Space Foundation to an organization or individual who has made significant contributions to the public awareness and understanding of space programs and technology. The award was named for an Academy Award-winning writer and producer, space advocate and early member of the Space Foundation Board of Directors. The Council is supported by a Users’ Advisory Group made up of former astronauts, aerospace executives, current and former elected officials and retired military leaders, including James Ellis, retired U.S. Navy Admiral, former head of STRATCOM and Director Emeritus of the Space Foundation Board of Directors. The The Space Symposium award will be presented at The Broadmoor in Colorado Springs, Colorado.